In this two-part series, we start by proposing the bullish case for global growth and follow up with the bear case, along with our investment outlook. 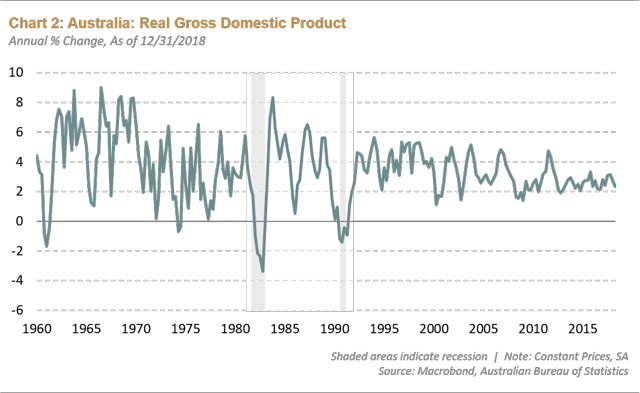 In prior global recessions, synchronized monetary tightening and a major misallocation of capital have often pushed the economy into recession. We don't see a potent combination of these factors right now. The current global expansion hasn't seen a boom that is usually a precondition for a bust in the cycle. This June, the current economic expansion will end up being the longest in post-war history. Therefore, it's natural to ask, "Are we headed into a recession later this year or in 2020?" It's a tall ask to evaluate whether a global recession is coming, and a logical place to start is by understanding where we are in the global economic cycle, because that has investment implications. This two-part series outlines the bull and bear cases for global growth, and then explains how the data informs our investment thesis and outlook. The bullish argument starts with the observation that economic cycles don't end simply because they get old. 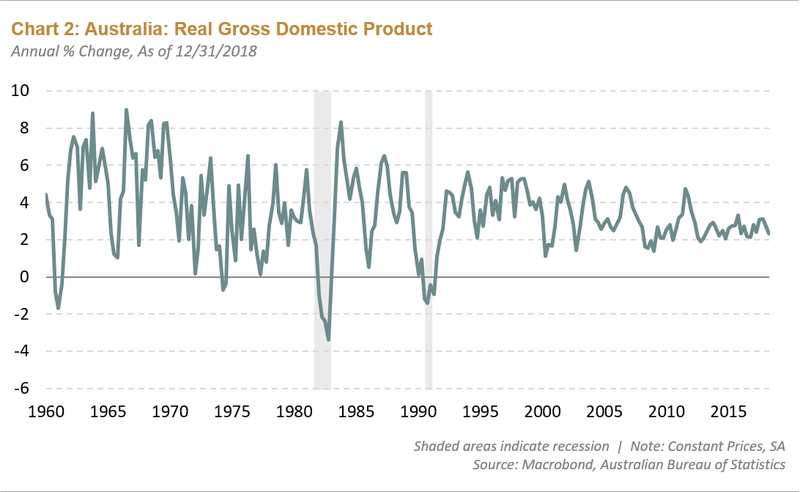 For example, the economies of Japan, Australia, Sweden and Italy did not experience recession in the immediate post-war period from 1948-1973, although this entire period was not captured below (see Chart 1). We certainly know of individual countries that have had very long cycles that have lasted much longer than 10 years. Australia comes to mind -it's been north of two decades and that cycle continues (see Chart 2). If old age is not enough for the global economy to enter a recession, then what are the criteria? There are at least two factors that would warrant more concern about a recession. The first is a period of synchronized monetary tightening. 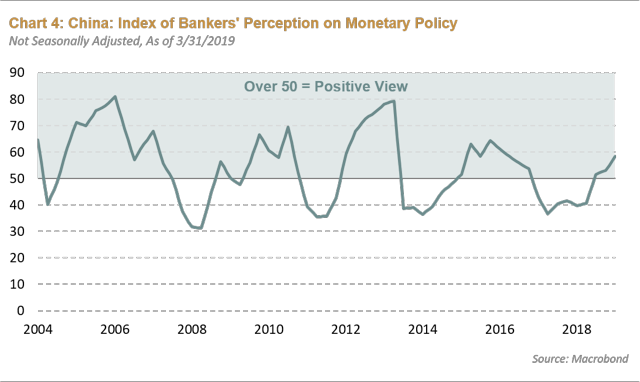 When looking back to the last cycle in 2007-2008, the Federal Reserve (Fed) raised interest rates, the European Central Bank (ECB) raised interest rates, and the Chinese tightened monetary policy. Everybody tightened monetary policy. A similar story unfolded in 1999-2000 and that catalyzed a recession as well. In recent years, it's certainly been the case that the Fed has raised interest rates north of 200 basis points, and the Chinese have tightened monetary policy to a certain degree as well. But nobody else has tightened monetary policy - or at least to a significant degree - in recent years. There's been some monetary tightening, but not what we would consider global synchronized monetary tightening. Debt levels have gone up materially in the last decade within the U.S. corporate sector. By the corporate sector, I mean non-financials because the financial system has been doing mostly the opposite. Debt levels have gone up in corporate America, and some of that has been to buy back equity. So, it's been more financial engineering, and some of that has gone into investment spending as well. 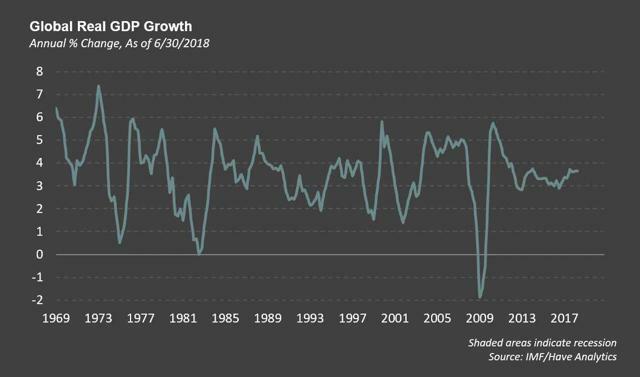 By some measures investment spending as a share of gross domestic product (GDP) is near cycle highs. The U.S. is later in the cycle on that basis, which is a vulnerability. But it's also worth noting that debt service payments are still much lower. Interest rates have come down. Even though corporate America has borrowed more money, actual interest costs have not risen all that much. When compared to previous cycles - and thinking about 1999 and 2000 - there was a clear misallocation of capital in the technology sector. Massive over-investment associated with excessive debt creation in that sector led to a global recession. The last cycle in 2007-2008 certainly had excessive debt creation in housing - not just in the U.S. but in many parts of the world - which led to a very significant misallocation of capital and hence the global growth contraction that followed in 2008-2009. We could also point to a fair amount of credit creation in China over the last decade. That debt has increased and gives us some cause for concern as well; however, a lot of the debt is more public in nature. It's been issued by state-owned enterprises and because it's more governmental in nature, that debt can be handled and absorbed by the government's generous balance sheet. We don't think the risk becomes systemic. Beyond those two factors, it's also worth noting that the economy never experienced a global boom in this expansion. One of the best ways to see this is by looking at the global PMIs in both the 1990s and 2000s cycles. 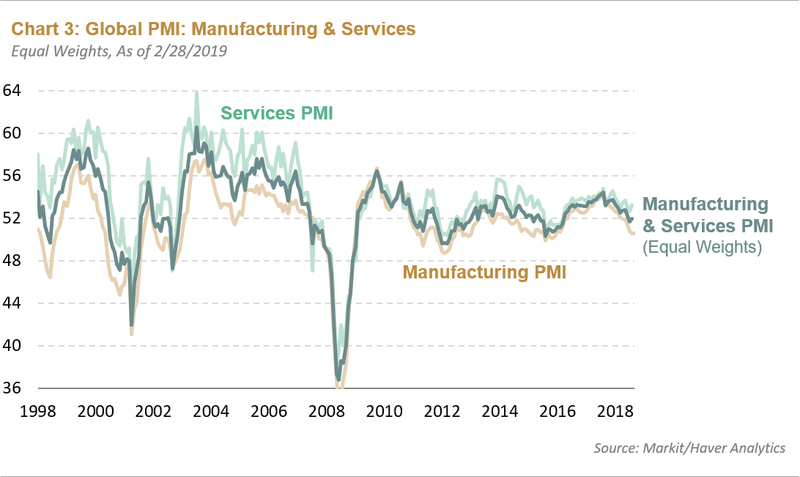 After the recessions we experienced during those periods, PMI numbers reached some very elevated levels (see Chart 3). In this cycle, we haven't seen this happen at all. There was the severe contraction in 2008, and while global growth rose in 2009 - and by proxy PMI numbers - it was more muted when compared to previous periods. If there's no boom, it's less likely to bust, which also mitigates the risk of a recession this time. Looking at how policymakers are behaving suggests the current slowdown is likely to be transitory. In particular, the Chinese have significantly changed their policy stance. There has been a meaningful reduction in interest rates in China, a reduction in the reserve requirement ratio for the banking system, an acceleration in infrastructure spending, and several announced tax cuts (see Chart 4). These factors should support activity in China, likely into the second half of this year. 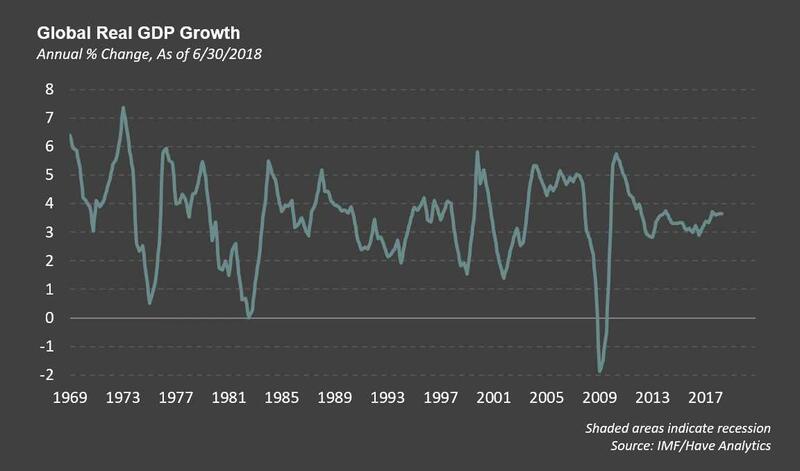 It won't be as powerful a round of stimulus as we saw back in 2016 or in 2009, but it's nevertheless meaningful enough to change the trajectory of growth to the upside. In the U.S., the Fed has paused its monetary cycle and it's going to stop balance sheet reduction sooner than most were expecting. That in and of itself is not an easing of monetary policy, it's just less tightening. The concurrent fall in interest rates, a more dovish Fed, and slower U.S. economy have collectively led to a meaningful decline in mortgage rates. The housing slowdown that we saw through much of last year has started to reverse. Recent existing and new home sales in the U.S. have picked up. The U.S. economy is responding as it tends to when rates fall. We expect global fiscal policy to be somewhat more stimulative this year, which also supports a constructive outlook on growth. By some estimates, global fiscal policy will be the most supportive of growth in nearly a decade. In the U.S., we think about fiscal policy as being a significant tailwind to growth because of the tax cuts last year, but it was also the case that fiscal policy in the rest of the world was actually quite contractionary - notably in China. That's now reversing. Fiscal policy in the U.S. will still be somewhat supportive of growth this year, though we'll also see some stimulus coming from Europe and from China as well. That's a bigger picture view of why a global recession is unlikely to occur. 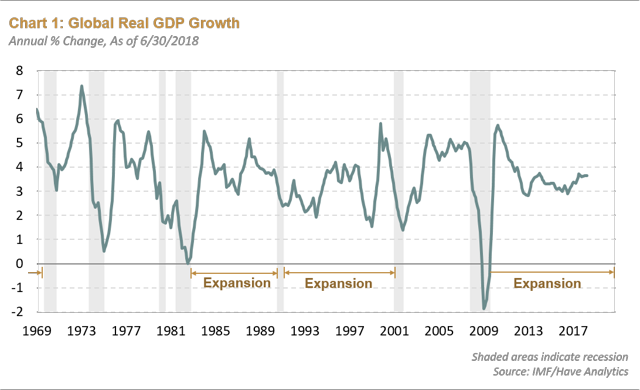 In part two of this blog, I'll cover the bearish view of the economic cycle and conclude with how we are incorporating these themes into our investment positioning and outlook.